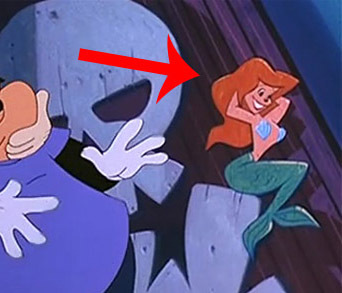 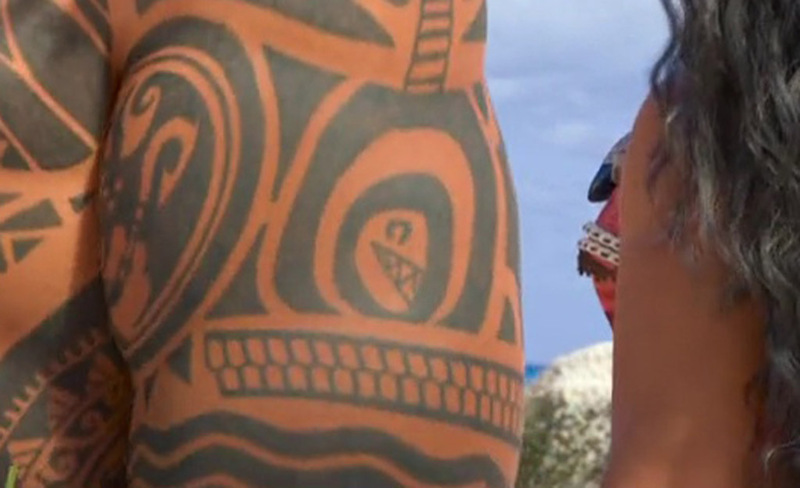 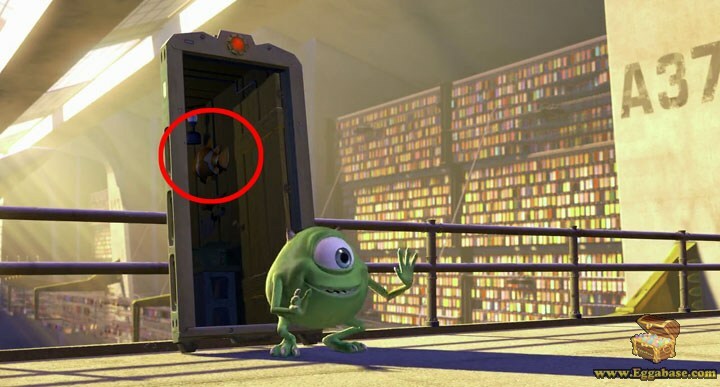 Nemo from Finding Nemo appears multiple times throughout the movie. 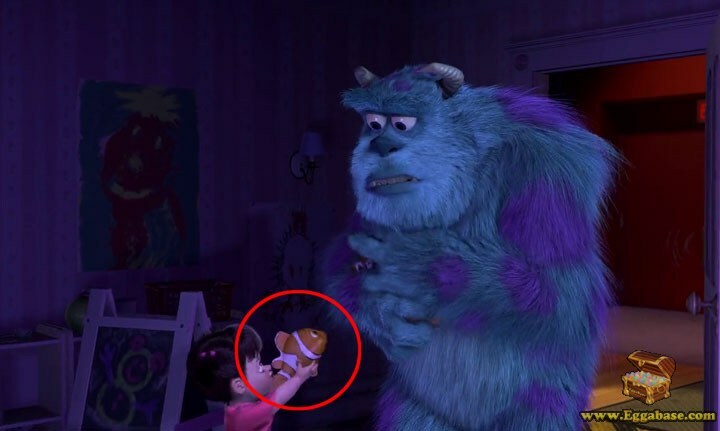 When we first see Nemo, he is hanging on the wall in Boo’s room but is missing in later parts of the movie as he appears in other parts of the room. 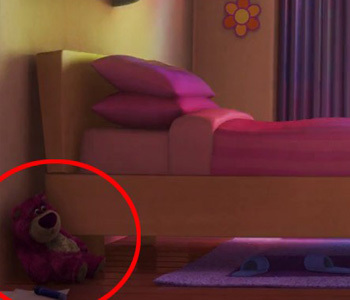 Then the last time Nemo is clearly visible comes when Sully returns Boo to her room near the end of the movie and she begins handing him her favorite toys to play with, one of which includes a stuffed Nemo doll. 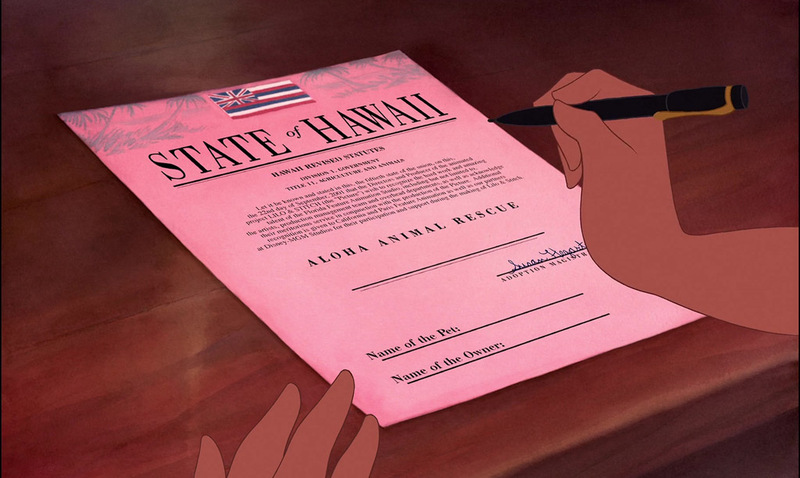 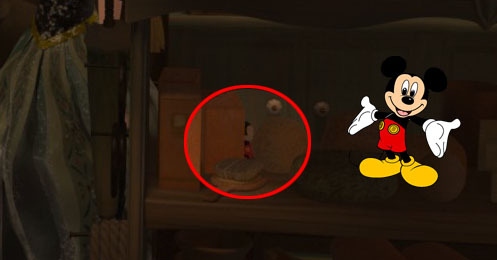 While having Nemo appear in other Pixar films has become a regular thing for Pixar over the years, this appearance has a special meaning. 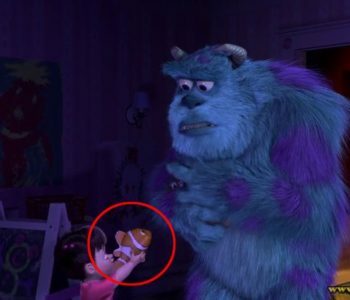 At the time Monsters, Inc. released Finding Nemo was still in development. 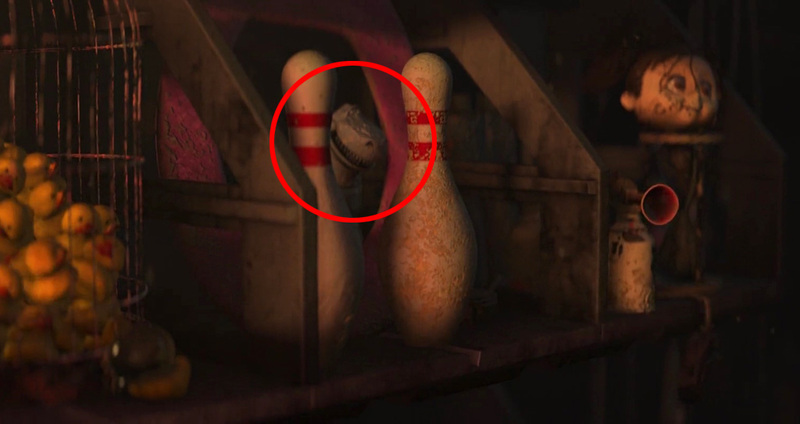 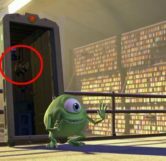 This is a tradition that Pixar has where the studio includes a prediction easter egg for upcoming Pixar movies into their current releases, sometimes before the future movie has even been announced. 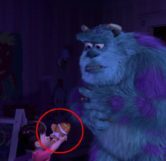 Other examples of this are Newt (a cancelled movie) in Brave and Lotso (Toy Story 3) in Up.